Here's another clip from the VH1 television program Classic Tracks featuring Nirvana, this time with producer Butch Vig dissecting the song that kicked off their career - "Smells Like Teen Spirit. " Last December I also posted the backing track to this song that gives you a slightly different look at it, if you want to check that out as well. Even though Nevermind (the album that Teen Spirit came from) was recorded by Butch, he didn't mix it. The excellent mixer Andy Wallace was brought in, some say at the behest of the record label and others say secretly by the band. Although Andy did lend his great ears to polish it, you can tell by listening to these videos that he had a lot to work with as the tracks were pretty well put together. Finally, A Ribbon Mic For Toms? When I was a young 'un in the recording business, I once tried a couple of Beyer M160 ribbon mics on the toms of a drum kit that I was recording. They sounded glorious - just the sound that I always heard in my head but could never get - until, of course, they didn't. After about a half song, the ribbons blew and the mics had to be sent away to get fixed. It was a difficult lesson to learn that ribbon mics are extremely sensitive to wind blasts, and that while they could be successfully used as overheads, you had to avoid directly miking the rest of the drum kit. But every engineer that has ever tried such foolishness knows just how great a drum kit can sound miked with ribbon mics. Royer Labs makes an excellent ribbon mic with the R-121 (and other mics in the family), that has a very robust design that can take all sorts of abuse that would normally blow the ribbon in a vintage ribbon mic to shreds, but directly miking toms with it is still out of the question. Today I lunch with John Jennings of Royer Labs and Dusty Wakeman of the Royer's sister company Mojave Audio (who make some fine condenser mics, if you've not checked them out yet), two great guys who are both excellent musicians and have great ears that I really trust. 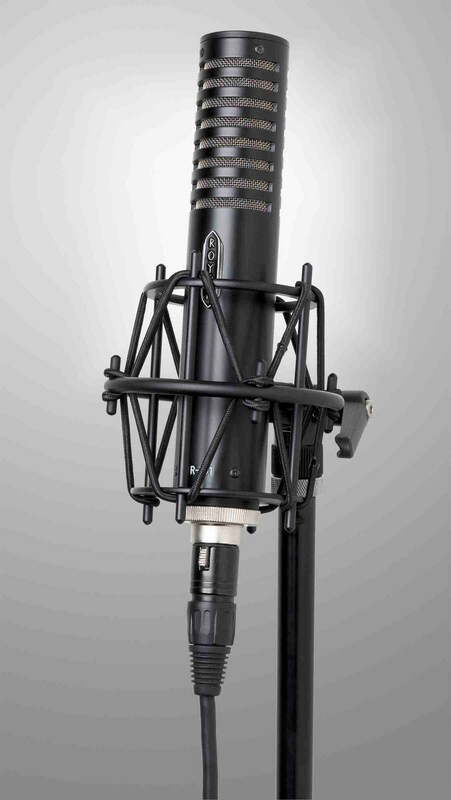 John introduced me to the new Royer R-101 ribbon mic just beginning to ship, a mic that is so cool in so many ways. First of all, it's Royer's first entry into the sub-$1,000 category, coming in at a retail price of $895. At that price, John says it sounds very much like the now-standard R-121, only not quite as hi-fi. Certain types of music and certain instruments (like loud guitar amps) don't really require a hi-fi sound, so I don't see that as a limitation. While I didn't hear it, I can tell you that the manufacturing is very impressive. It feels substantial in the hand as well as a lot more expensive than it really is. But what excited me the most is that John said that they've yet to blow one up, thanks to a new triple pop filter that the R-101 uses. In fact, he said they even blew a blast of highly compressed air directly into it and it still came away working like a champ. 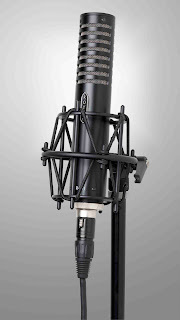 Could the R-101 be the ribbon tom mic that everyone has longed for all these years? I can't wait to find out. Check out the R-101 page for more info. Staying with Bad Company and Feel Like Making Love, here's the isolated drum track. I always knew drummer Simon Kirke was a really good solid rock drummer, but he's a lot better than I thought after listening to this track. 1) The drum sound is pretty good and recorded in a modern style with multiple mics. The snare is pretty compressed, which takes some of the snap out of it, but it really punches. Same with the kick. 2) Listen to his kick drum work. I love it when a drummer can get creative yet stay solidly in time, which Simon can when he's just keeping time. 3) Simon does have a bit of a problem with fills though. Listen to the entrance into the second verse, which is a little late off the roll. There's also a late cymbal hit at 2;32. And late off the roll again at 2;39. Then at 3;40 it sounds like he loses his place or is just unsure what to play. There are some other funny fills and hits, but I still like the drum track. Great feel! Also remember, this track was recorded 30+ years ago, and if the recent Bad Company television concert is any indication, Simon's fills are a lot smoother these days. I always like Bad Company records for their simplicity. There weren't a lot of overdubs so the tracks weren't hid behind any layers, and then there was Paul Rodgers incomparable vocals (and he still sings at least as well today). Here's an example of that simplicity on the isolated guitar tracks from Feel Like Making Love played by Mick Ralphs. Yes, there are doublings and overdubs, but not that many and they're well conceived. The guitars don't come in until about 12 seconds because the acoustic guitar starts the tune. 1) The clean guitars during the verse both have the same sound (using the rear pickup of probably a Les Paul) and are doubled very tightly with one playing the first position and the another in the 2nd position. One of the guitars is slightly out of tune - who knows if it's intentional to widen the track or just a sign of the times before guitar tuners. 2) The doubled distorted guitars in the chorus are so typically Les Paul/Marshall from that time period. The double actually works better with the big guitars than the clean rhythm. 3) The chorus guitars are played very on top of the beat and push the chorus as a result. You can feel the chorus itself speed up a bit like most did back in the days before click tracks, but the guitar is still on top of the beat. It does relax a bit with each chorus of the song. 4) The guitar solo at 2;42 is interesting. It's 3 moderately clean guitars playing harmony (so much for the simplicity, I guess). What does make them sound simple is that they feel like a single player could've played it in one pass, even if that's not the case. 5) There's a little stumbling of the double in the outchorus at 3;42, almost like he was caught off guard on the first pass and then tried to duplicate in (but couldn't) on the second. It happens again at 4;52 except one guitar plays the part correctly. The Making Of The Beach Boy's "Sloop John B"
Here's a spectacular video that highlights the making of The Beach Boy's 1965 hit "Sloop John B. " This was never one of my favorite Beach Boy's song but I have a newfound appreciation for both it's instrumental and vocal intricacies after watching this very well-done video. As always, BB producer Brian Wilson has a number of doublings and counter-lines going in the background of the music and the vocals, and we can hear them all here. Even if you're not a BB fan, it's worth watch to see just how intricate music could be made even 45 years ago, back in the days when 4 track ruled.